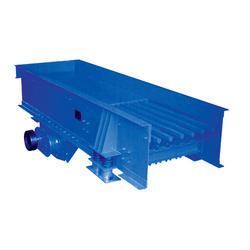 With firm commitment to quality, we are manufacturing and supplying a comprehensive range of Vibrating Feeder. All these products are used to convey and extract material from hoppers and bins at a controlled rate. Offered feeders are engineered to meet the application requirements and are available in trough and tube models for light, medium and heavy duty applications. Looking for Vibrating Feeder ?